July 17 is the Day of International Criminal Justice, a day dedicated to the development and achievements of international criminal justice institutions. 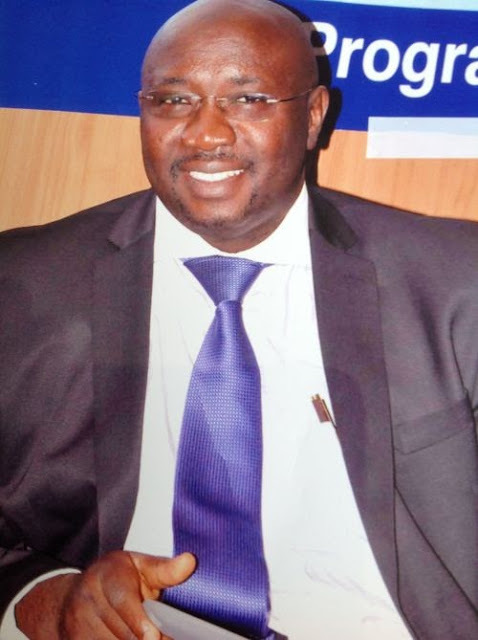 For this year’s celebration, which is led by the International Criminal Court, Sewa News features Mohamed Suma, head of the Ivory Coast Program for the International Center for Transitional Justice. I currently serve as the head of the Ivory Coast Program for the International Center for Transitional Justice (ICTJ). At ICTJ, we work to help societies in transition from either war or dictatorship to address legacies of human rights violations and build civic trust in state institutions as protectors of human rights. We assist state institutions and civil society to drive changes through truth, accountability, institutional reform and providing redress for victims. Our support comes in the form of technical assistance, capacity building, and providing comparative experience in transitional justice from elsewhere. As head of Office in Ivory Coast, I serve as the principal representative of ICTJ. I lead the process of providing technical assistance and capacity building to key partners and policy makers in government, national transitional justice institutions, civil society and the media on policy formulation and program implementation strategies relating to transitional justice. I also work with victim communities and their representatives to strengthen their capacity to enable them to engage with local and national institutions and participate fully in the various transitional justice processes. I also worked for ICTJ as interim program manager and head of the Liberia program. I joined ICTJ in May 2011 after serving as a consultant in Sierra Leone from 2005. Prior, I was the executive director of the Center for Accountability and the Rule of Law (formerly Sierra Leone Court Monitoring program). Growing up in rural Sierra Leone and bearing witness to the level of poverty in the country, I initially wanted to work in the development sector to improve the livelihood of my people. However, the senseless atrocities during the decade long civil war made me change my career course from development to human rights and accountability. As a student at Fourah Bay College (FBC) University of Sierra Leone, I joined the Human Rights Clinic and served as coordinator of the Schools Education Project, an experience that afforded me the invaluable opportunity of teaching human rights to secondary school pupils. I read history and sociology at FBC for my bachelor's degree. When I was still at university, I worked at the National Forum for Human Rights (NFHR) as an intern and later as a volunteer. At NFHR, I was introduced to human rights fieldwork where I developed skills in monitoring, reporting, and advocacy. The experience brought to my attention the depth and prevalence of human rights abuses and the impunity that often accompanied them. When the United Nations (UN) backed Special Court for Sierra Leone was established in 2002, I was the first staff member in the Outreach Section, linking Sierra Leonean communities to the work of the Court. My engagement in human rights work during this period exposed me to a myriad of practical experience that caused me to strengthen my capacity further with a theoretical foundation. I was offered a fellowship by the Open Society Justice Initiative and did a master's in human rights at the Central European University in Budapest from 2004-2005. After completing the graduate human rights program in 2005, I worked as consultant for ICTJ in Sierra Leone while serving as executive director for the Sierra Leone Court Monitoring Program, now Center for Accountability and the Rule of Law-Sierra Leone (CARL-SL). At CARL, I monitored trials at the UN backed Special Court for Sierra Leone and in the national judicial system. I also designed and implemented independent outreach and advocacy programs on the Special Court; judicial accountability and Sierra Leone Truth Commission follow-up issues. I actively engaged on questions of institutional and legislative reform of the Sierra Leone justice system and also served as a member of the Technical Working Group of the Justice Sector Coordinating Office that implemented the justice sector strategy of Sierra Leone. I have gained so much experience in working with different professionals from different backgrounds. However, there is nothing more gratifying than helping people, empowering them to be self-reliant. Since part of my work is helping to influence policies, it is difficult sometimes to work with public officials that do not adhere to your advice and then run back to you for solutions. But in the field of human rights and humanitarian affairs, it is service before self. One has to be dedicated and be ready to help others before one can make a difference. My current job has exposed me to national and international experiences in the field of human rights, transitional justice and the rule of law. However, my career path has been shaped largely by the challenges that my country Sierra Leone faces. While Sierra Leone’s human rights record has improved remarkably since the war ended, challenges in the governance sector for the benefit of the people abound. I look forward to helping to further the interest of the people.